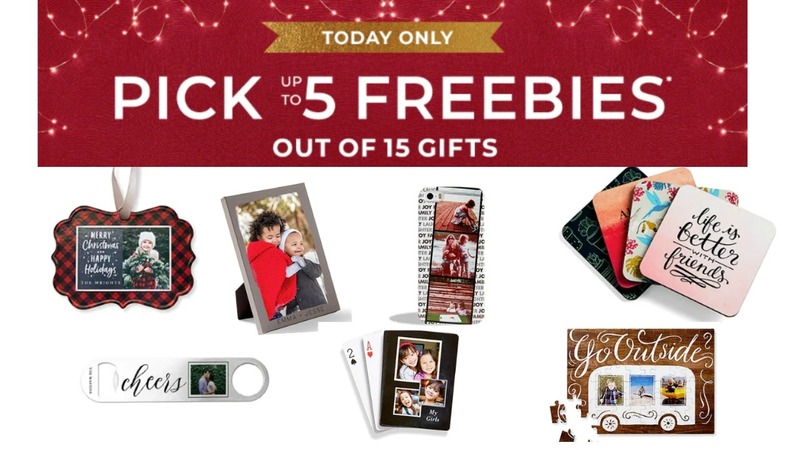 Today only, 12/26, head to Shutterfly and pick FIVE freebies from a choice of fifteen items when you use promo code GIVEME5 at checkout! The items will all be free, you just pay shipping! Note that the products you pick must be 5 different items (though you could use the same pictures to make it faster). Note that shipping fees do apply and they vary depending on the items you choose. I played around with picking various items and shipping was around $25-$30 for all items for me (so basically $5-$6 per item).